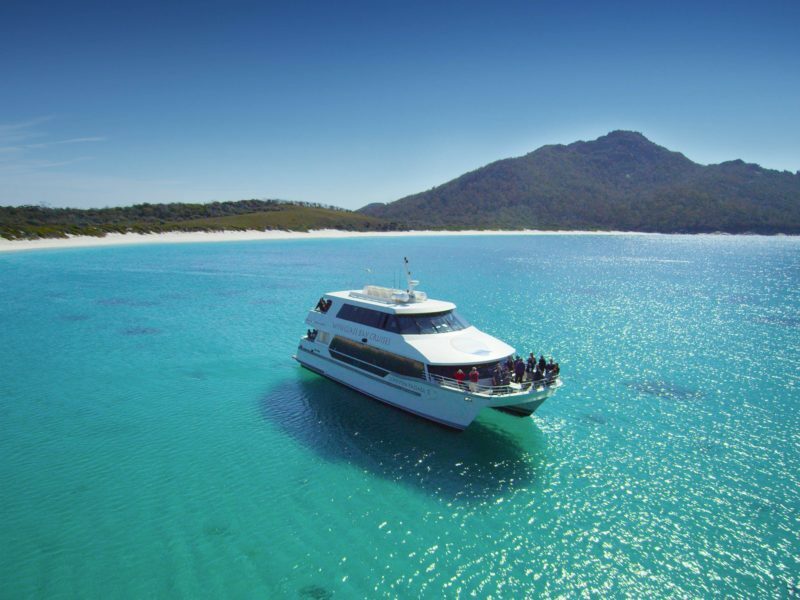 Step aboard their luxury catamaran, Schouten Passage II, which takes you from the gentle shores of Coles Bay to the world famous Wineglass Bay. 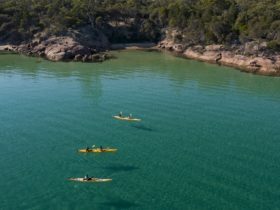 Cruising the Freycinet Peninsula, you’ll experience stunning scenery, abundant wildlife and a rare, intimate perspective on one of Tasmania’s most extraordinary places. 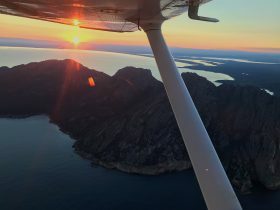 At anchor in Wineglass Bay, you’ll have time to absorb the true peace of this beautiful place, as they serve you a Tasmanian Ploughman’s lunch. 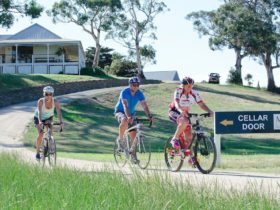 Tour Includes four and a half hour eco-cruise with expert live commentary from the experienced crew and a Tasmanian Ploughman’s lunch. 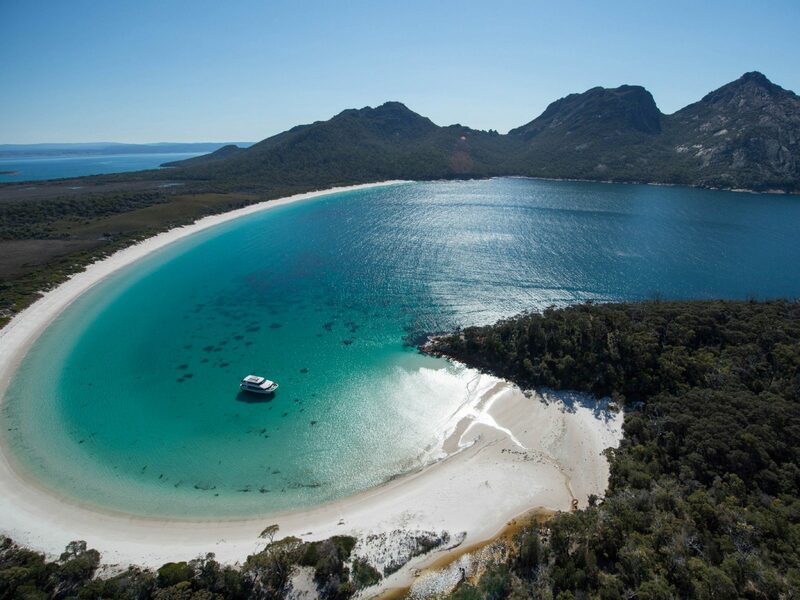 Discover Wineglass Bay from the water and experience the exquisite beauty of Wineglass Bay on our daily eco cruise to Wineglass Bay. 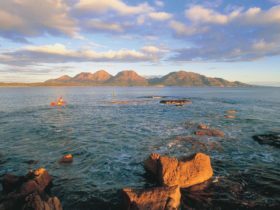 Cruising the Freycinet Peninsula you’ll experience stunning scenery, abundant wildlife and a rare, intimate perspective on one of Tasmania’s most extraordinary places. You’ll enjoy a bento box full of Tasmania’s finest local seasonal produce at anchor in Wineglass Bay, where you will have time to absorb the true peace of this beautiful place. 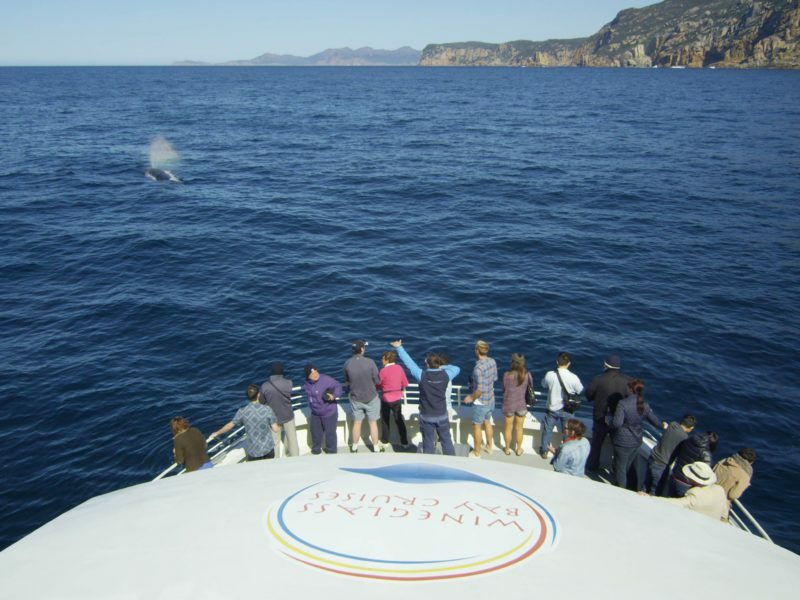 The vessel offers licensed bars, restrooms on both decks, three large outdoor areas to view wildlife, dolphins, seals, albatross and sea eagles on most days and Humpback whales on their annual migration from September to December. Cruise operates from Coles Bay, daily at 1000 and returns at 1430, September to May. Vista Lounge is $150.00 Adults $95.00 Child and includes four hour eco-cruise with expert commentary from experienced crew and Tasmanian ploughman’s lunch. Sky Lounge is $220 and includes 4.5 hour eco-cruise with expert commentary and experienced crew. 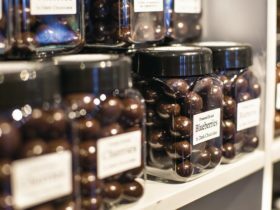 Morning Tea, freshly shucked oysters, canapes,Tasmanian ploughman’s lunch, Tasmania’s East Coast fine wine and premium beer.